Appearing regularly on the international stage, American bass Steven Humes continues to perform leading roles including König Marke, König Heinrich, Vodník, Hunding, Fafner, Fasolt, Daland, Hermann Landgraf, Sarastro, Ramfis, Oroveso, Wurm, Gremin, Commendatore, Biterolf, Lodovico, Pistola, Alaska-Wolf Joe, Truffaldin, Eremit and Titurel among many others. He continues to appear with many of the world's most important theaters including The Bayerische Staatsoper, Teatro Real in Madrid, Opernhaus Zürich, Théatre des Champs Elysées, Opera di Roma, Opéra Monte Carlo, Teatro Regio in Torino, Hamburg Staatsoper, Festspielhaus Baden-Baden, The Bolshoi, the Salzburg Festival, Luxembourg's Les Théâtres de la Ville, Tokyo's Bunka Kaikan and Beijing’s NCPA. Mr. Humes has also been heard throughout the United States in theaters including Los Angeles Opera, Atlanta Opera, Opera Theatre of St. Louis, Boston Lyric Opera, Chicago Opera Theater and Chicago's Ravinia Festival. In 2017 Mr. Humes debuted a role as Hermann Landgraf in Tannhäuser at the Opéra de Monte-Carlo, conducted by Nathalie Stutzmann. Recently Mr. Humes saw performances of Lohengrin in St. Gallen, Switzerland in a production by Vincent Boussard. 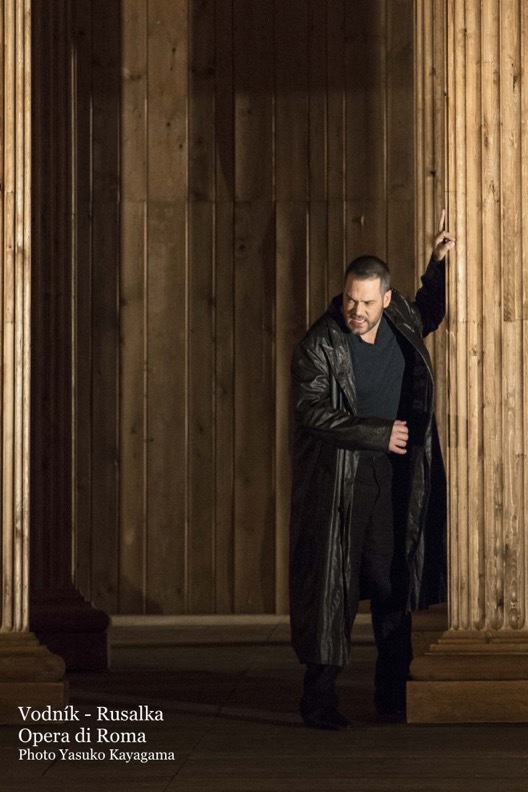 This season he returns to Teatro Regio in Torino as König Marke in a celebrated production of Tristan und Isolde, singing once again under the baton of Gianandrea Noseda. He has previously sung Rocco, Daland and Frere Lawrence in Gounod’s Romeo et Juliette with the company. Other recent highlights are two RING cycles (and their revivals) at Le Grand Théâtre de Genève and the Bayerische Staatsoper, König Marke in Paris, Lohengrin performances in Copenhagen, St. Gallen and Beijing, Macbeth in St. Gallen, König Karl in Fierrabras in Brussels, a tour in France of Jeanne d'Arc au bûcher (Joan of Arc at the Stake) with Marion Cotillard as Joan, Don Giovanni performances in Boston and Bremen, Germany, a revival of Jeanne d'Arc au bûcher at Avery Fisher in New York and a St. Matthew Passion with the Beethoven Orchester in Bonn Germany. Steven was also heard recently in Don Giovanni with the Théatre des Champs Elysées, in Das Rheingold in Monte Carlo and in Semele at the Canadian Opera Company. One of his many DVD recordings is the highly acclaimed double-grammy winning Rise and Fall of the City of Mahagonny recorded with the Los Angeles opera in 2007. Opera News hailed "Humes was a stentorian Alaska-Wolf Joe". He recorded the role for DVD again in 2010 with a Fura dels Baus production at Madrid's Teatro Real. Other recordings of note include grammy nominated La Traviata with Ivor Bolton conducting, Idomeneo (DVD) in Munich's Cuvilliés-Theatre with Kent Nagano conducting, Alice in Wonderland (DVD) named Best World Premier 2007 by OpernWelt magazine, and both Lucrezia Borgia (DVD) and Roberto Deveraux (DVD) with Edita Gruberova. Sought after as a concert soloist, Mr. Humes has appeared with numerous symphonies including the New York Philharmonic, the Atlanta Symphony and with philharmonic orchestras of Paris, Bonn, Dresden, Bremen, Palma de Mallorca, Munich and Brussels, to name a few. He has performed in many celebrated concert venues including the Vatican, Carnegie Hall, Avery Fisher Hall, and his repertoire includes Beethoven's 9th Symphony, the Mozart Requiem, Dvořák's Stabat Mater, the Verdi Requiem and Bach's St. Matthew's Passion. Mr. Humes received his musical education at New England Conservatory and Boston University. During 8 years as an ensemble member of the Bayerische Staatsoper in Munich, Germany, Steven performed over 500 performances.